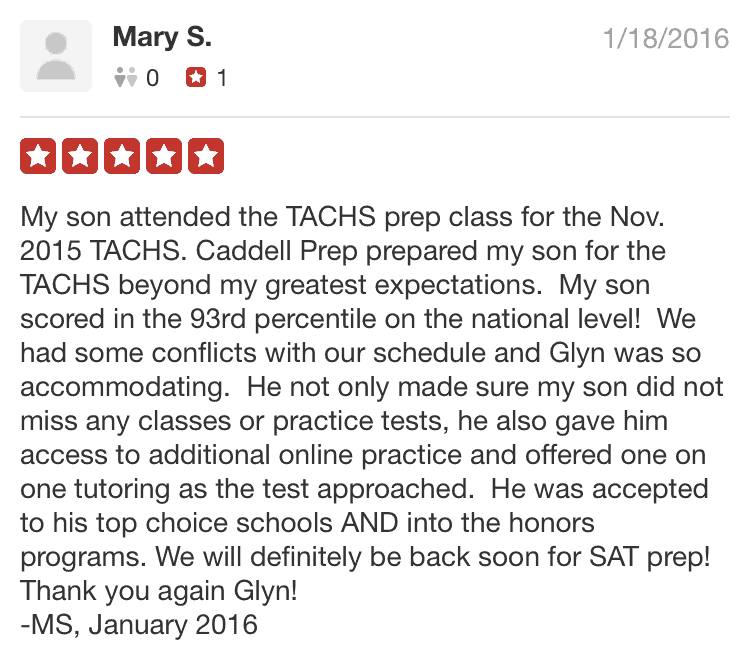 Our TACHS Prep class is designed to best prepare students for the TACHS. We have broken down the topics of the reading comprehension, language, math, and ability sections into small, focused lessons with associated practice problems for students to hone their test-taking abilities. 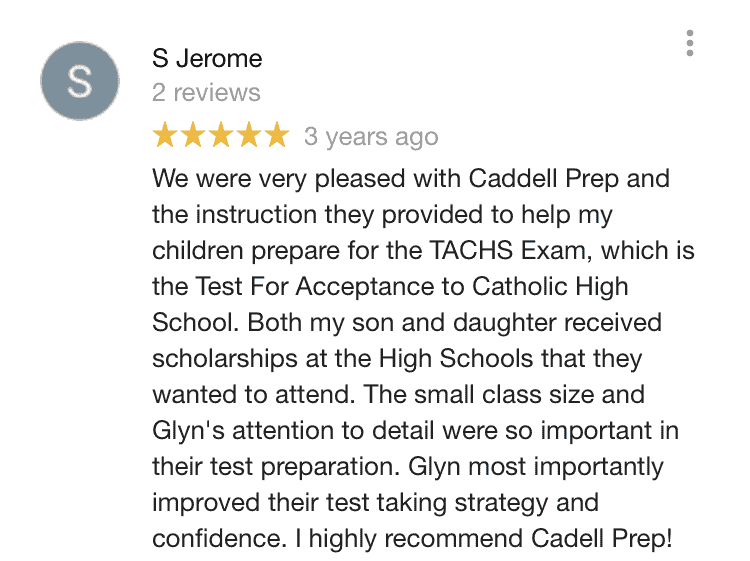 Comprehensive Lessons: The most important subjects covered on the TACHS are reviewed in detail. Test Taking Strategies: Proven strategies to immediately increase test scores. Free Workbook: No need to purchase additional study materials. All students are provided with a workbook and handouts. Homework Assignments: Homework gives students the opportunity to practice what they learned at home so the information is retained. Very Small Class Size: Maximum 8 Students per TACHS Prep Class! 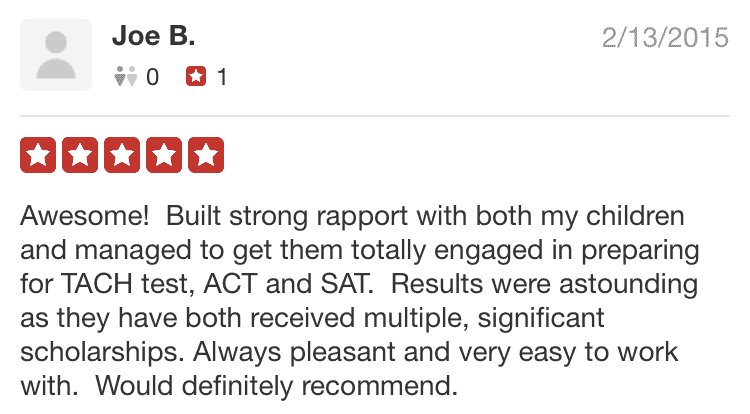 We keep our classes small to best serve the students. We encourage participation in class and actively reach out to students to make sure no one is falling behind. There are many rules tested on the TACHS that students may not even be aware of. It’s important to introduce these rules, so students know what to look for on the TACHS and maximize their test scores. What sections are on the TACHS? Are all sections of the test covered in the class? Yes, all sections of the test are covered in detail. No, calculators are not permitted on the TACHS. Do I need to buy any extra TACHS prep books for this class? No, we provide all necessary TACHS review materials. Students are required to bring a notebook or binder.